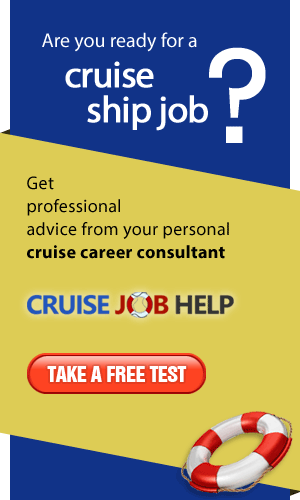 Employees in this department are responsible for the running and maintenance of the cruise ship. Positions in the deck department include deckhands, maintenance workers, engineers and officers. Their duties include ensuring that the vessel meets strict safety requirements and international maritime regulations. Most employees in this department are from developing countries. The captain is the highest ranking on the cruise ship, responsible for operation of the vessel, navigation and the crew. Must have a good knowledge of international maritime laws and company policies. Previous experience of at least 5 years in a subordinate position is always required, as well as a degree from an accredited maritime educational institution. Salaries range from $6000 to $10000 per month. The staff captain is second in command, after the ship captain. The staff captain oversees daily operations and management. Previous experience in a similar position is always required, as well as degree from an accredited maritime educational institution. Salaries range from $5000 to $7000 per month. The first officer supervises the bridge operations and navigation equipment maintenance. Other responsibilities include maintenance of lifeboats, rescue boats and tenders. 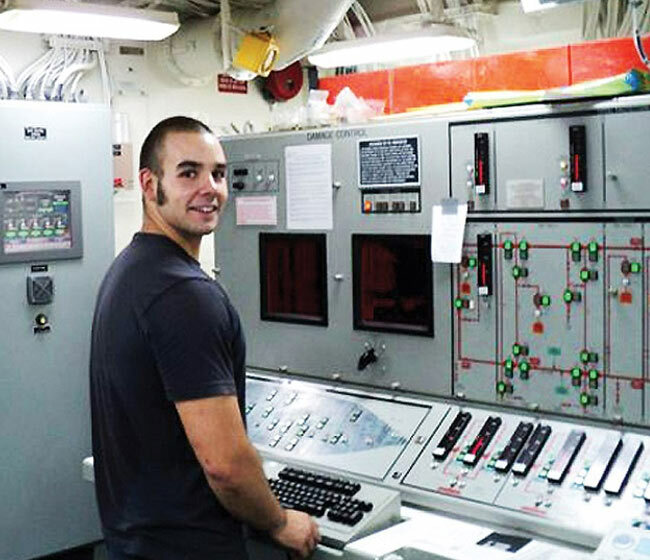 Previous experience from a subordinate position on a ship is required, as well as relevant maritime education. Salaries range from $4000 to $5000 per month. The chief radio officer is responsible for ship's radio communication regarding weather, traffic, safety etc. Other responsibilities include maintaining the radio logbook, emergency radio communication devices and lifeboats. He/she is also responsible for delivering personal correspondence of crew members and passengers to and from the ship. Salaries range from $2500 to $3500 per month. The security officer is responsible for ensuring security on the cruise ship including handling suspicious luggage, passengers and crewmembers, carrying out regular checks, enforcing safety regulations etc. Previous experience of working in the security industry is required. A military or police background is usually a bonus. Salaries range from $2500 to $3500 per month. The deckhand is a handyman on a cruise ship - he does a wide variety of jobs, from painting to docking the ship, including general maintenance jobs. No previous experience is required. However, general technical skills are a must. Salaries range from $1800 to $2500 per month. An able seaman is an entry-level position, responsible for general maintenance, cleaning, painting and other small jobs in the deck department. Salaries range from $1500 to $1800 per month. The safety officer is responsible for instructing the crew members on safety issues and drill, such as ship abandonment procedure and fire drills. Previous experience in a similar position is required. Salaries range from $3000 to $4000 per month. The bosun assists the safety officer. Salaries range from $1400 to $2200 per month. The chief engineer is responsible for the maintenance of technical operations in engineering, electrical and mechanical divisions. Extensive experience and relevant maritime education are required. Salaries range from $5500 to $8500 per month. The chief electrician is responsible for the smooth operation and maintenance of the electrical system of the cruise ship. Extensive previous experience, relevant education and fluency in English are all required. Salaries range from $3000 to $4000 per month. An electrician's duties include the maintenance of high and low voltage electrical facilities. Electricians must be able to work on their own and with little supervision. Previous experience as an electrician is required. Salaries range from $2000 to $2400. This position is responsible for keeping the engines clean and in good working order, under the supervision of the Chief Engineer. Relevant experience and education is required, as well as a good command of the English language. Salaries range from $1600 to 2000 per month. 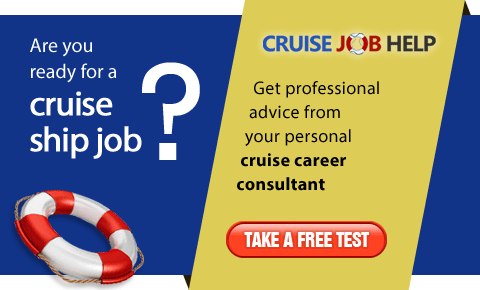 The plumber is responsible for the maintenance and repair of all plumbing onboard a cruise ship. Previous experience, as well as good English language skills are required. Salaries range from $1600 to $2400 per month.